The history of this humble boarding house in Spring Hill concerns two widows - one who built the house as her residence, and one who, out of necessity, converted the property into a boarding house. This is a current photograph. 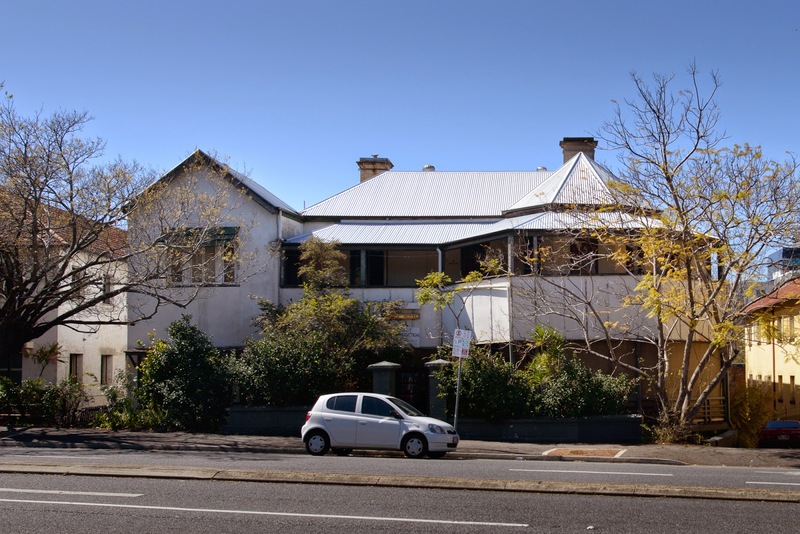 The building is now called Cliveden Mansions and it is included on the Queensland Heritage Register. The original house erected here was named Chippendale and it was built circa 1889 for Mrs Selina Forth who moved in in 1890. Prior to that Mrs Forth was resident at Stanley Hall, Clayfield; a magnificent house previously seen in these pages. 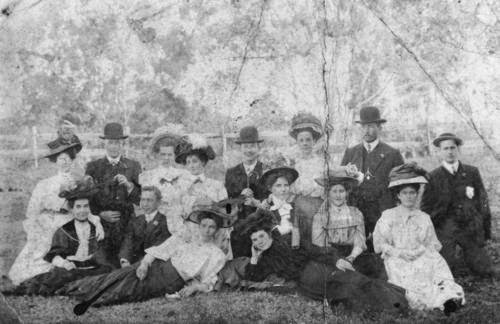 Unfortunately both Mrs Forth's 20 year-old daughter Clara, and her husband John Forth, a prominent produce agent in Brisbane, died within the family's first couple of years at Stanley Hall, prompting Mrs Forth's move into Spring Hill. Mrs Forth passed away in 1911 and in 1913 the property was sold to Mrs Pauline Eschenhagen, a well-known restaurateur and caterer. The Eschenhagen family owned Chippendale until 1949, although they changed the name of the property to Cliveden Mansions in 1941. 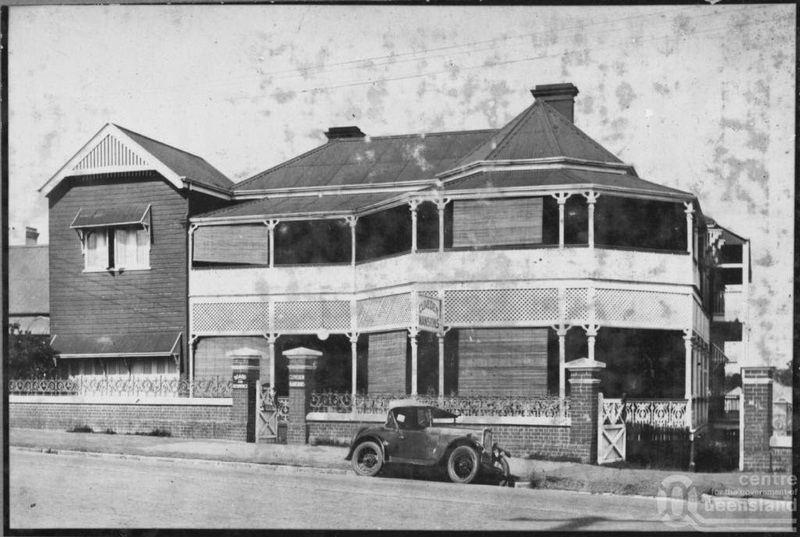 The following photograph shows the house around that time. Pauline Eschenhagen was the widow of Karl Ernst Eschenhagen (known as Ernst), a baker originally from Crossen/Oder, Germany, who established one of Brisbane's best hospitality businesses in the late 19th century. It is said that Eschenhagen begged Morrow"s Biscuit Factory for a bag of sugar and a bag of flour to start his George St bakery that subsequently spawned branches in Edward St and Fortitude Valley and then a Queen St restaurant that could seat almost 500 diners. Ernst Eschenhagen was a celebrated baker, restaurateur and caterer who could boast that some of Brisbane's elite citizens, including successive governors of Queensland, were his customers. Here is a picture of his staff at a picnic in 1898. Things turned nasty for the Eschenhagens though. As a result of Australia's involvement in the Boer War anti-German sentiment run rampant, leading to a boycott of the Eschenhagen business. Judge William Shand wrote "before the war no more a popular and prosperous caterer was to be found in Brisbane... But his shop is a desert and picnics and jaunterings know him no more." The business slowly recovered after the Boer War, but Ernst Eschenhagen took his own life in 1906. His sister-in-law, Pauline's younger sister Berthe, put that down to "too much debt, from too much wine and women", but who knows what part was played by the hatred endured during the war years. Pauline Eschenhagen continued to run the business with the help of her son Karl (Charles). But the prospect of a second round of racial bigotry during WWI was too much - she sold the business in 1915 and used the proceeds to hire the original architect of Chippendale, GHM Addison, to design a large extension that allowed the property to be leased out as a boarding house. Cliveden Mansions continues in use as a boarding house today. Australia's involvement in the Boer War was strange enough... let alone Germany's involvement. How long does it take before an immigrant becomes a fully fledged Australian? Hels - the story is a sad one. If we think racial vilification is bad currently we should check our history. It doesn't make good reading, and it was not confined to Brisbane. The following is a verbatim extract from a Sydney newspaper called The Mirror of Australia from 20 May 1916, and it relates to Pauline's son Karl Eschenhagen who was known then as Charles Edwards for reasons that will become apparent. Eschenhagen's cafe in Brisbane at one time had a monopoly of the trade in the Queensland capital, until public feeling became too strong, and the business was sold. Eschenhagen havlng in the meantime shed his German nomenclature and assumed the British surname of Edwards, was recently appointed manager of the well-known ABC Cafe in Pitt-street, Sydney. The appointment caused a considerable resentment amongst the British employees, and attention. was called to tho matter by 'The Mirror'. The employees of the restaurant threatened to strike unless Eschenhagen was dismissed, and after some hesitation — which seems to us extraordinary — the directors bowed to the inevitable. We have no doubt that Eschenhagen will turn up again — probably under another alias — and we warn the waiters and waitresses oft Sydney to look out for a typical clean-shaven squarehead. As to when an immigrant becomes a fully-fledged Australian - there are thousands of people in detention in and near Australia who would like to know the answer to that question. ok I have thought about the anti-German attitudes held by "real" Australians for a month or two and, using your case as my starting point, tried to make sense of it. If you had been talking about WW1 instead of the Boer War, I would have understood the situation more clearly.